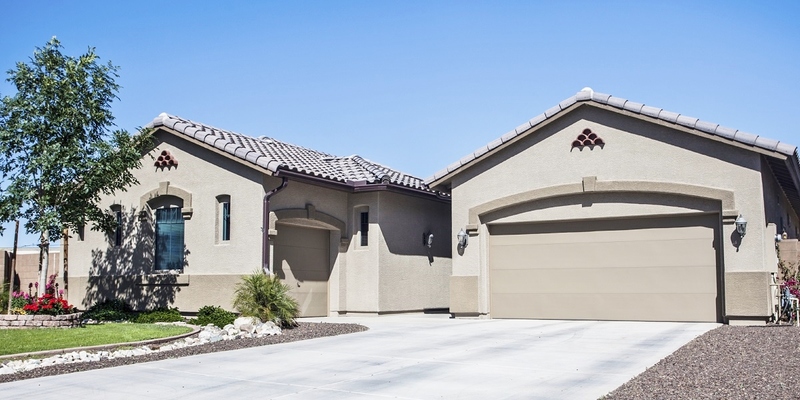 Aluminum rain gutters are among the most prevalent varieties of gutters that you will see on properties all around the Apache Junction and beyond. These are standard rain gutters with seams and bonds throughout the length of the rain gutters, but presently there are also some aluminum gutters that are seamless without the connections.As soon as you call ApacheJunctionSeamlessgutters.com for a complete evaluation, one of the choices we offer is aluminum gutters. You can pick among the typical aluminum gutters with seams or the new kind of aluminum gutters without seams. The seamless aluminum gutters are more in demand due to the fact that they reduce the probability of leaking. A dripping gutter can cause water damage to your house and water puddles on the area all around your property so as qualified professional rain gutter installers, we often recommend the seamless products over the standard aluminum rain gutters. But our company will work within your tight budget and install any type of gutter you pick to your total satisfaction.No matter if you are searching for regular aluminum gutters that are cheap or a more current type of seamless aluminum gutter for your Apache Junction area house, ApacheJunctionSeamlessgutters.com is the contractor to make it happen for you. Call us as soon as possible for more details about your aluminum rain gutter possibilities for your Apache Junction house.